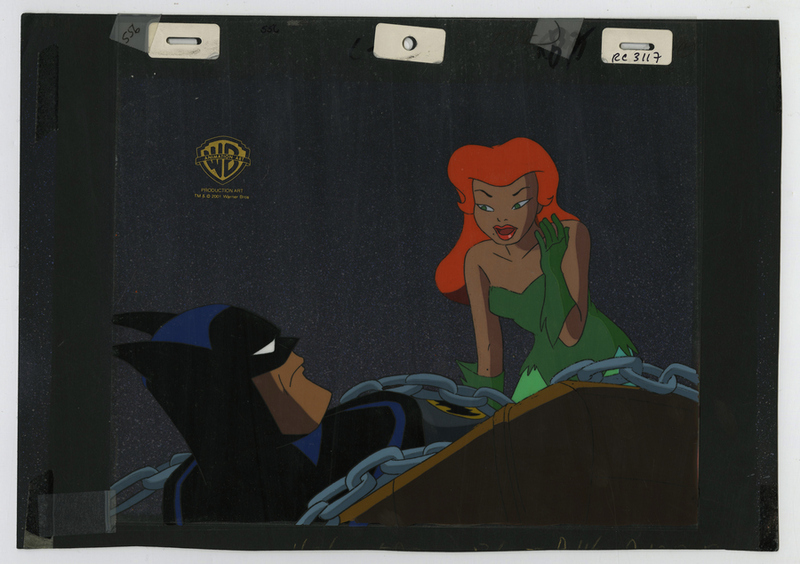 This is an original production cel and background setup from the Warner Bros. Studios production of the 1993 episode of Batman: The Animated Series, Harley and Ivy. 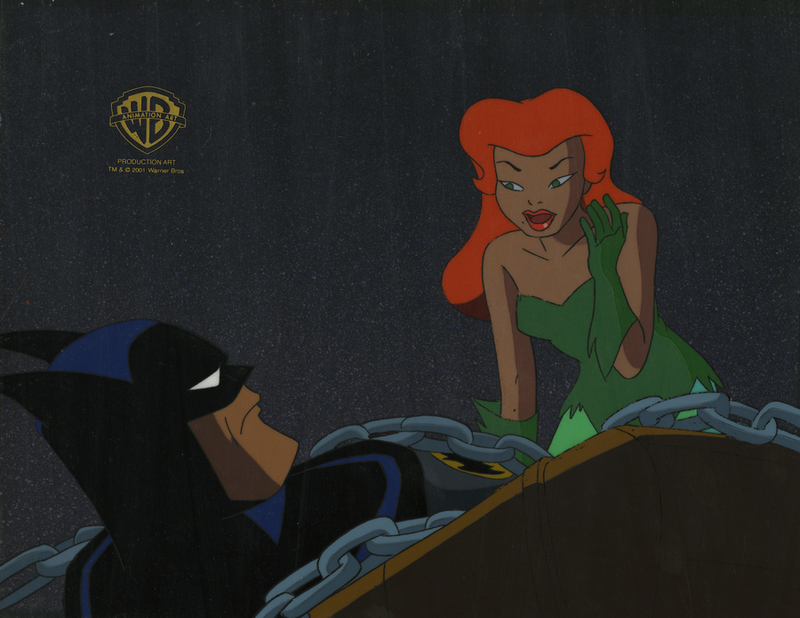 This setup features great image of Poison Ivy standing over Batman as he is chained down. The cel and background were created at the studio and used during production. The overall measurements of the piece are 9.5" x 13.5" and the image itself measures 7" x 10.5". The setup is in great condition with some surface wear to the four corners of the background and the lower edge of the background was trimmed at the studio. This piece comes from the Warner Bros. Studios official art program and will include a COA from their studio.